This study aims to investigate the influences of social capital on three dimensions: the structural dimension, the relational dimension and the cognitive dimension in relation to absorptive capacity and organizational innovation. The data were collected by using a questionnaire from 119 leather product exporting firms. The results indicate that both the relational and cognitive dimensions have a significant positive impact on absorptive capacity. Absorptive capacity has a significant positive impact on organizational innovation. This study might be useful to scholars and those who share an interest in the subject. The current study can also be used as a guideline for future research projects. Potential discussion with the research results is effectively implemented in the study. Theoretical and managerial contributions are explicitly provided along with the directions for future research. Aaker, David A., Kumar, V. and Day, George S, 2001, Marketing Research, New York: John Wiley and Sons. A. Arora, A. Gambardella, 1994, evaluating technological information and utilizing it: scientific knowledge, technological capability, and external linkages in biotechnology. J. Econ. Behav. Organ, 24, 91–114. A.C. Inkpen, W.K. Tsang, 2005, Social capital, networks, and knowledge transfer, Acad. Manag. Rev, 30 (1), 146–165. Adler, P.S., & Kwon, S. W., 2002, Social capital: Prospects for a new concept. Academy of Management Review, 27, 17–40. Transfer. Academy of Management Review, 30(1), 146-165. Armstrong, J.S. and Overton, T.S., 1977, Estimating Non-response Bias in Mail Surveys. Journal of Marketing Research, (3), 396. Bettis, R. A., and Hitt, M.A., 1995, the new competitive landscape. Strategic Management Journal, 16(S1), 7–19. B. Kogut, U. Zander, 1992, Knowledge of the firm, combinative capabilities, and the replication of technology. Organ. Sci. 3,383–397. Bolino, M. C., Turnley, W. H., and Bloodgood, J. M., 2002, Citizenship behavior and the creation of social capital in organizations. Academy of Management Review, 27(4), 505-522. Burt, R. S., 1992, Structural holes. Cambridge, MA: Harvard Business Press. Study of Taiwanese high-tech new ventures. Technol. Forecast. Soc. Change, 73, 168–181. distinctive relational capability. Strategy Manage J, 28:585-608.
composition on firm exploratory innovation. Academic Management Journal, 53 (4), 890–913. C. Haeussler, M. Higgins, 2009, Control right and the performance of strategic alliances. (Electronic copy available at.com/abstract=1424073). Chiu, C. M., Hsu, M. H., & Wang, E. T. G., 2006, Understanding knowledge sharing in virtual communities: An integration of social capital and social cognitive theories. Decision Support Systems, 42(3), 1872-1888. Chow, W. S., & Chan, L. S., 2008, Social network, social trust and shared goals in organizational knowledge sharing. Information & Management, 45(7), 458-465. Chua, A., 2002, The influence of social interaction on knowledge creation. Journal of I intellectual Capital, 3(4), 375-392. Cohen and Levinthal, 1990, Absorptive Capacity: A New Perspective on Learning and Innovation, Administrative Science Quarterly, (1), 128-152. Coleman, J. S., 1990, Foundations of social theory. Cambridge, MA: Harvard Business Press. Coleman, J. S., 1988, Social capital in the creation of human capital. American Journal of Sociology, 94, S95-S120. versus opportunism. Organization Science, 7(5), 477–501. performance through innovation programmers. Small Business Economics, 13, 219–234. Daghfous, A., 2004, Absorptive capacity and the implementation of knowledge intensive best practices. S.A.M. Advanced Management Journal, 69(2), 21−27. Davenport, T. H., 1997, Ten principles of knowledge management and four case studies. Knowledge and Process Management, 4(3), 187-208. E.O. Laumann, 1978, Community structure as interorganizational linkages. Annu. Rev. Sociol, 4 (1),455–484. Fukuyama, F.,1995, Trust: The social virtues and the creation of prosperity. New York: the Free Press. G. Ahuja, 2002, Collaboration networks, structural holes, and innovation: a longitudinal s tudy, Administrative Science Quarterly, 45(3), 425–455. Granovetter, M.,1985, Economic action and social structure: The problem of embeddedness. American Journal of Sociology, 91,481–510. Grant, R. M.,1996, Toward a knowledge‐based theory of the firm. Strategic Management Journal, 17(S2),109–122. Hage, J., & Aiken, M., 1970, Social change in complex organizations, New York: Random House. Hair, Joseph F., Black, William C., Babin, Barry J. and Anderson, Rolph E, 2010, Multivariate Data Analysis: A Global Perspective. Pearson Publishing, New Jerrey. Knowledge Sharing as Determinants of Academic Performance, Institute of Behavioral and Applied Management, 25-41. Inkpen, A. C., and Tsang, E. W. K., 2005, Social capital, networks, and knowledge transfer. Academy of Management Review, 30(1), 146-165. Kogut, B., & Zander, U., 1996, What firms do? Coordination, identity, and learning. Organization Science, 7(5), 502–518. Organizational Unit ACAP: Social Context and Performance Outcomes. In George T.
Levin and Ferrin, 2003, Information Sources for Trust Judgments in Managerial Relationships over Time: A Conceptual Analysis. Institute of Behavioral and Applied Management, 140- 160. Levin DZ, Cross R., 2004, the strength of weak ties you can trust: the mediating role of trust in effective knowledge transfer. Manage Sci, 50(11), 1477-1490. L. Fleming, O. Sorenson, 2004, Science as a map in technological search. Strategy. Manag. J, 25 909-928. Mauss, M., 1954, The gift. New York: Free Press. Merton, R.,1968, Social theory and social structure. New York: Free Press. M.M. Haris Aslam, Khuram Shahzad, Aly Raza Syed, Asher Ramish, 2013, Social Capital and Knowledge Sharing as Determinants of Academic Performance, Institute of Behavioral and Applied Management. M. Zollo, S. Winter,2002, Deliberate learning and the evolution of dynamic capabilities. Organ. Sci, 13, 339–352. advantage. Academy of Management Review, 23,242–266. Models: Regression, Analysis of Variance, and Experimental Designs. 2 nd Edition. Homewood: Richard D. Irwin, Inc.
Nonaka, I., and Takeuchi, H.,1995, The knowledge-creating company: How Japanese companies create the dynamics of innovation. Oxford university press. Series in Psychology, McGraw-Hill, Inc., New York: NY, (21), 451-468. P.H. Soh, E.B. Roberts, 2005, Technology alliances and networks: an external link to research capability. IEEE Trans. Eng. Manag, 52(4), 419–428. Powell, W. W., Koput, K. W., and Smith-Doerr, L., 1996, Interorganizational collaboration and the locus of innovation: Networks of learning in biotechnology. Administrative Science Quarterly, 41,116–145. Putnam, R., 1993, Making democracy work: Civic traditions in modern Italy. Princeton, N. J.: Princeton University Press. Prajogo, D. I., and Ahmed, P. K., 2006, Relationships between innovation stimulus, innovation capacity, and innovation performance. R & D Management, 36(5), 499-515.
diversity and alliance organization on innovation. Academic Management Journal, 50(2), 364–386. growth of technology-based new firms. International Business Review, 11, 279–304. R.J. Jesen, G. Szulanski, 2007, Template use and effectiveness of knowledge transfer, Manag. extent ? Technol. Forecast. Soc. Change, 69, 681–701. Rousseau, D. M., Sitkin, S., Burt, R. S., and Camerer, C., 1998, Not so different after all: A cross-discipline view of trust. Academy of Management Review, 23: 393–404. S.A. Zahra, G. George, 2002, Absorptive capacity: a review, reconceptualization, and extension. Acad. Manag. Rev, 17(2),185–203. learning. Research in Personnel and Human Resources Management,14, 61–90. Solomon (Ed.). Proceedings of the Sixty-Sixth Annual Meeting of the Academy of Management. Spender, J. C.,1996, Competitive advantage from tacit knowledge? Unpacking the concept and its strategic implications. In Bertrand Moingeon, & Amy Edmondson (Eds. ), Organisational learning and competitive advantage, London: Sage Publications. Sui-Hua Yu,2013, Social capital, absorptive capacity, and firm innovation. Technological Forecasting & Social Change, (80),1261-1270.
networks. Academy of Management Journal, 41(4),464-476. Tsai, Y. C., 2006, Effect of social capital and absorptive capability on innovation in internet marketing. 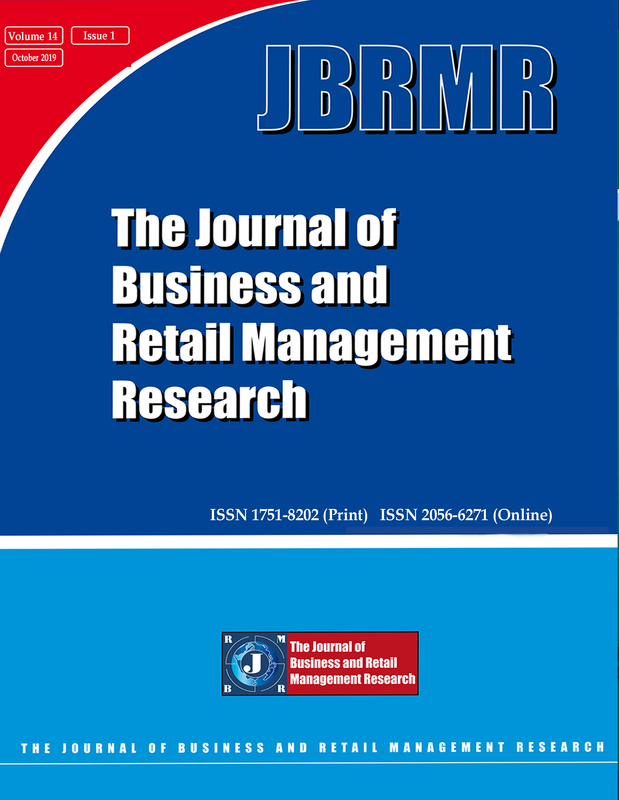 International Journal of Management, 23(1), 157–166. Tushman, M. L., & Anderson, P.,1986, Technological discontinuities and organizational environments. Administrative Science Quarterly, 31,439–465. complementarity of organizational learning processes. Acad. Manag. J, 52(4),822–846. Verona,G.,1999, A Resource-Based View of Product Development. Academy Management Review, 24(1), 132-142. Widén-Wulff, G., & Ginman, M.,2004, Explaining knowledge sharing in organizations through the dimensions of social capital. Journal of Information Science, 30(5), 448-458. W.M. Cohen, D.A. Levinthal, 1990, Absorptive capacity: a new perspective on learning and innovation. Admin. Sci. Q, 35(1),128–152. locus of innovation: networks of learning in biotechnology. Admin. Sci. Q, 41(1),116–145. extension. Academy of Management Review, 27(2),185−203.